You know how to grow and you’re sure you are good at it. Then you grow a nice clone-plant of nice sativa family full of positive genetics from the proper mother, containing proper number of trichomes and you know for 100% that you cut it right in time. It’s obvious that a true professional grower develops the relation with the every single cannabis plant. And it’s quite well-expected that the most active part of this development happens on the growing stage. 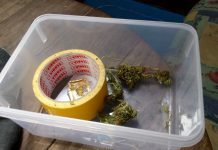 Say, when the plant is alive, and it is kind-of very logical, but here we have another pot of puzzles to solve: the very professional cannabis growers all know that in the moment of cutting yet another extremely important period only starts — drying and then storing the cannabis product to have the best glorious pot out of it. 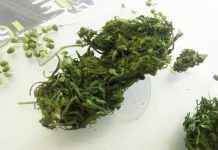 There is a certain misbelief that drying a plant in one piece may allow more THC come up from the stem to leaves and buds. A total untrue. And a complete total untrue for those couple of plants of indoor cannabis that you grow at home in personal-consumption volumes. Significantly longer drying is the only thing that may happen and you definitely do not want it. If you still feel explorer then try it and make your own conclusions. From 18 to 24 degrees Celsius (65 to 75 Fahrenheit). Humidity 45-50 percent. 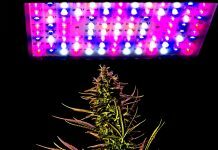 Darkness is essential for marijuana buds through all drying process. If all is done correctly then in 6-10 days the plant starts being dry. Check how far it is dry by tactile check and apply for the ultimate phase — curing.